AzaMax is an antifeedant and insect growth regulator and controls pests through starvation and growth disruption. 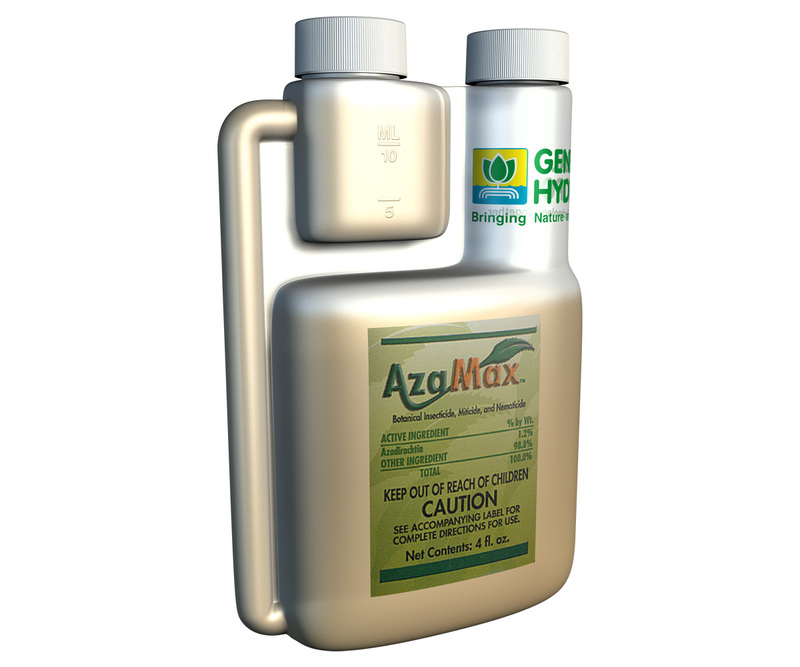 AzaMax effectively controls spider mites, thrips, fungus gnats, aphids, whiteflies, leaf miners, worms, beetles, leafhoppers, scales, mealy bugs, nematodes and other soil borne pests. Best of all, AzaMax can be applied up to the time or day of harvest. The product is exempted from residue tolerance, thus there is no harmful residue on veggies, fruits, herbs and flowers etc.